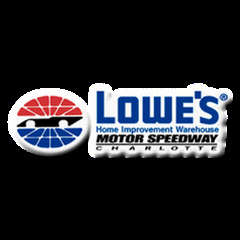 Lowe's Motor Speedway(1999-2009) (formerly Charlotte Motor Speedway) is a speedway in Concord, North Carolina, north of Charlotte. It features a 1.5-mile (2.4 km) long quad-oval track that seats 167,000 people, with room for 50,000 more spectators in the infield. Constructed in 1959, it was the first speedway to host nighttime superspeedway racing (in 1992) in the "modern era," the first being the now defunct Raleigh, N.C. Speedway in 1958, and to offer year-round residences (in 1984) with 52 condominiums available over turn one. It is owned by Speedway Motorsports, which has its corporate headquarters on the same property. The speedway is considered the home base of NASCAR, with 90% of NASCAR teams being based within 50 miles (80 km). In February 1999, Lowe's bought the naming rights to the speedway, making it the first race track in the country with a corporate sponsor. Lowe's chose not to renew its naming rights after the 2009 NASCAR season. 2013 08 17 Charlotte Racing Under the Lights in the Rain Carolina Cup Pro Series Race under the lights and in the rain at Charlotte Motor Speedway on August 17, 2013. Driving a Spec Miata. Finished 2nd in Class and 3d overall. 2012-08-18 Charlotte STL Race STL race at Charlotte Motor Speedway. Started DFL because I missed the grid and finished 1st in Class and 8/35 overall. 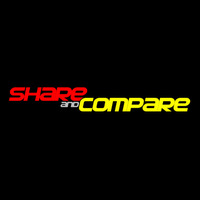 Here is a sample of good laps from a 76 - 280z Chumpcar. Traffic was very heavy and clean laps were impossible. Chicanes were present before the turn in for the infield and on the back straight. During these laps the back straight chicane was moved by a car and I could do several laps flat.